Hi! I've been busy this past weekend. Got another pattern done--it's in testing so it's not ready for its debut. 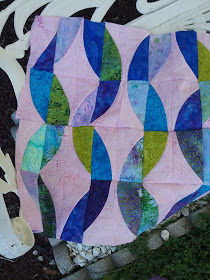 My day on the Island Batik Back to School Blog Hop was yesterday, and I showed off a new quilt! Jump over here to read all about it and to enter my giveaway. I also made a little zippered pouch for my daughter using fabrics from the Vineyard collection by Island Batik, the collection being featured in the blog hop. I'm including a sketch book and pencil with it. She's quite the artist so I know she'll love it. Like me, she's a lover of all things purple. Isn't it great? Meanwhile my shop sale is still going on. Use the code MerryQAL20 at checkout to get a 20% discount off all patterns. The sale continues until the end of the month. Now that you know what I've been doing, let's see what you're up to! First it's time for our weekly feature. 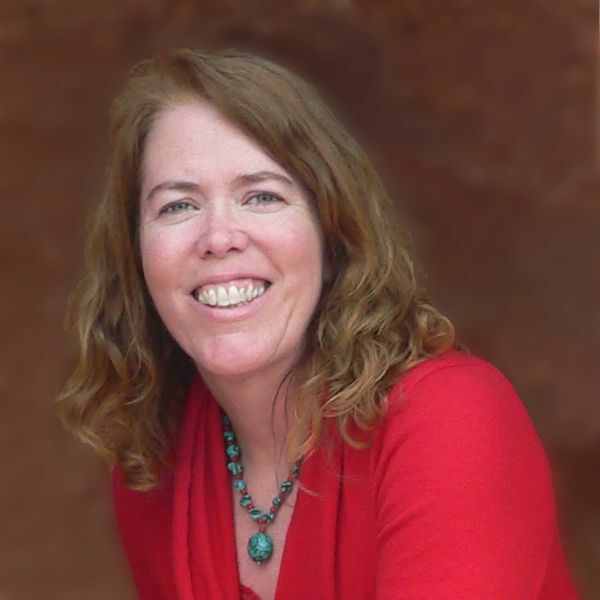 This week I want to feature Kathy @ Kathy's Kwilts and More. Last week Kathy shared her quilting project from the book, Making Connections, and her quilt from the Island Batik Back to School Blog Hop. Be sure to check them out! Congratulations Kathy! Here's an “I Was Featured” button for your blog. Older PostIsland Batik Back to School Blog Hop and Giveaway!